Having started working in the film industry at the age of 22, Hwang Soo-jung was known as a popular actress who starred in television dramas continuously before being involved in a drug abuse scandal. Even though she has not been able to recover her career, Hwang Soo-jung still made a comeback to the industry where she had once gained notoriety. In this article, Channel-Korea will explain to you all about Hwang Soo-jung, including her full profile, the list of her television dramas and movies, and her comeback after the scandal. So, stay tuned! 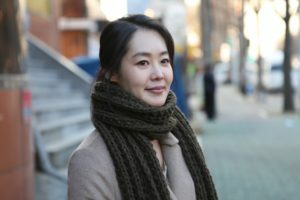 As was briefly stated earlier, Hwang Soo-jung was once known as an A-list actress who was most recognized for her role as Lady Ye-jin on MBC’s television series Hur Jun, in which she was awarded the Top Excellence Award in the category of Actress and Favorite Actress of the Year (chosen by the broadcast journalists) on the MBC Drama Awards in 2000 and Best Actress on the Grimae Awards in the same year. After her scandal, Hwang Soo-jung made a comeback by starring in the music video of singer WAX. 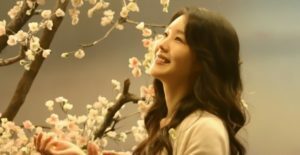 In this section, Channel-Korea has compiled a list of the television series, films, and music videos that Hwang Soo-jung has starred in. In 2001, Hwang Soo-jung was caught in an unfortunate scandal of drug smuggling (methamphetamines) with her married male lover. Hwang Soo-jung was sentenced to one year and six months in jail, but got compensation to be released after serving 78 days. The ill-fated scandal is undoubtedly a disgrace to Hwang Soo-jung’s career, a downfall which she cannot recover from, even after making a comeback in 2006 by starring the music video of WAX and the SBS television series Salt Doll. During an interview for KBS’s 4 episode-drama in 2011 For My Son, Hwang Soo-jung stated that she had a very normal life after her scandal. In addition, Hwang Soo-jung also had to handle the negative publicity from the media alone, leaving her no choice but to only keep quiet, which made the situation worse somehow. Even so, Hwang Soo-jung tried to not care about what people think of her because she believes she lives in living life honestly. Regarding her current preference for the characters she wants to play, Hwang Soo-jung said that she desires to try a bright and cheerful character, which is a total contrast from her most popular role as the elegant and modest Lady Ye-jin in MBC’s Heo Jun. Well, best of luck to Hwang Soo-jung! Let’s Check Out CLC Members Instagram Feeds! Is Lay Leaving EXO? Find The Truth Here!